We want to get know you better and talk about the joys of the RV lifestyle together. Share your tips and ask questions, the community is here for you. It is a great way to learn about the community and get involved. A group dedicated to the working RVer. 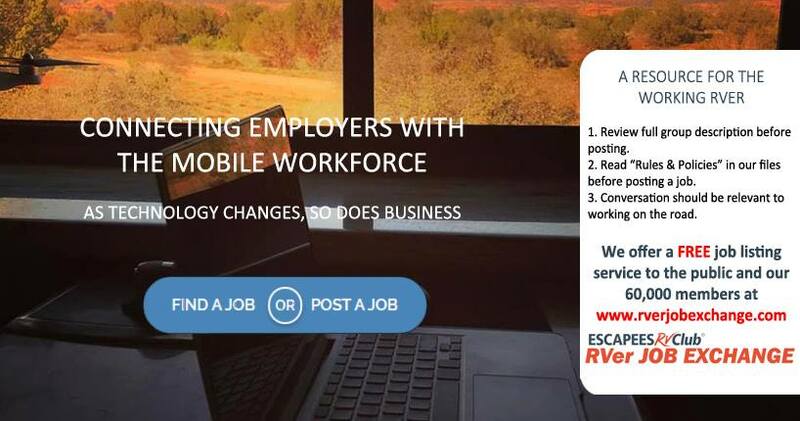 Here you will find tips regarding the mobile workforce, questions and answers from your RVing community, job opportunities and more information for the nomadic worker. Join the group and RVillage will help you locate and meet up with other Xscapers in your area. It is a great way to make new friends and reconnect with others during your travels.